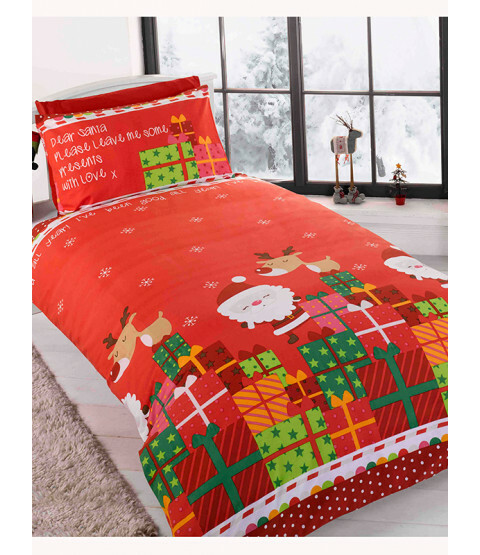 Add a touch of magic to any bedroom with this fun and festive Dear Santa single bedding set. 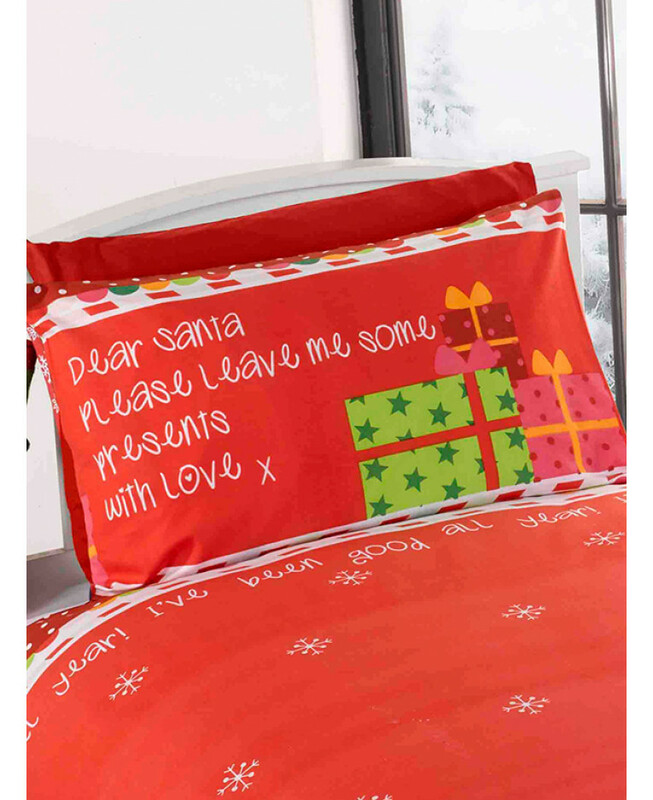 The adorable design has a letter to Santa on the pillowcase, while the duvet cover features Santa and Rudolph on a big pile of presents set against a red background patterned with snowflakes. 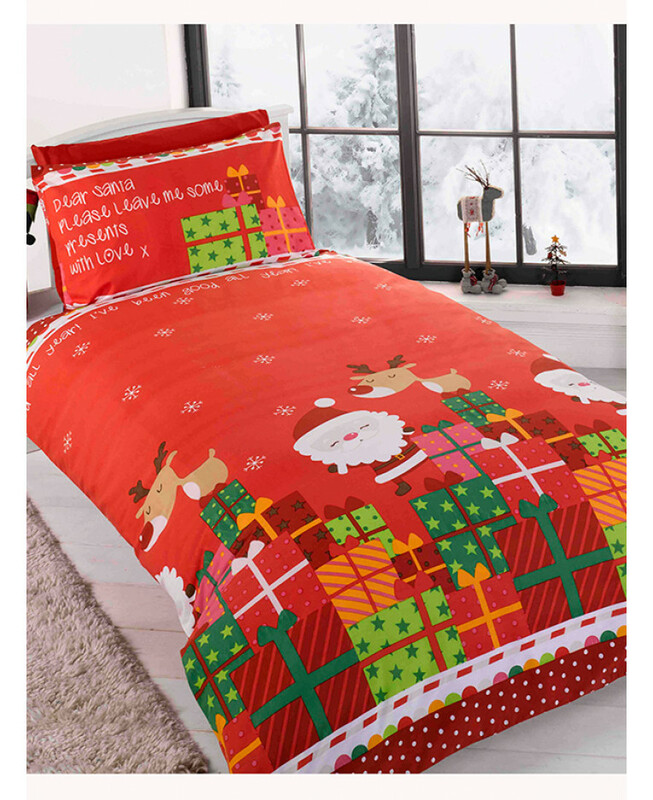 This item is suitable for machine washing and tumble drying.